There are multiple applications that require the use of a bow saw. For household applications, this particular tool is necessary for cutting branches and clearing debris. Meanwhile, the best bow saw can do more than this. I mean, their job is still the same, but they can be usable in different functions. Many survivalists and outdoor enthusiasts use this saw over chainsaws and log saws because of their given convenience in cutting stray things up. But of course, for large trees and objects, this tool might come insufficient. 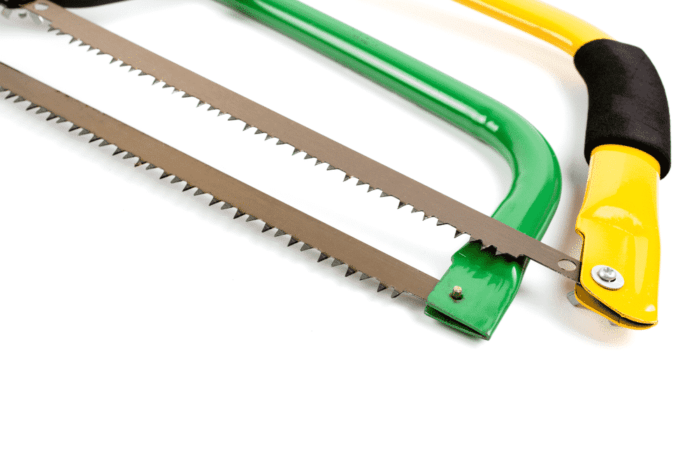 For now, bow saws are essential for individuals who want to maintain and groom the shrubs and small trees on their surroundings. You can also use this item to cut down light metals and alloy. This feat is not impossible to achieve, given that you know the proper cutting techniques. But overall, the quality of the bow saw is the one that can really change the game. There are multiple variants of bow saws that exist on the market today. There is already a guarantee that not all of them function the same. Therefore, it is essential that you can pick the right one that perfectly serves your needs and preferences. Here are some of the top-rated bow saws that you can choose from. This 21-inch long bow saw is one of the most sought bow saws by professionals and hobbyists right now. This particular tool is primarily designed to work through various materials. However, it is best suited for lumber and dry wood. If these things are apparent in your working area or surroundings, having the Bahco Ergo Bow Saw might come necessary. This particular tool does not break under pressure. It can work on different applications, even the demands and workload are purely high. You can bring this item to construction sites and other harsh environments without having any fear that it would get worn out. The materials that are used on making this bow saw are all durable and rugged. The Bahco has a top-of-the-line tensioning design. You can adjust the stability of the blade so that it can be more suited in cutting straight lines. It doesn't wobble at all, even if the object is tough or if you are applying too much pressure. The frame of this bow saw is crafted from industrial-grade steel tubing. It is moderately weighted so that you can easily handle it. Moreover, it is notably durable, as it can resist common damages in steel such as rust and corrosion. Overall, maneuvering the Bahco would never trouble you at all. The Filzer Buckster Bow Saw BBS-1 is a uniquely designed bow saw. From its structure alone, you can directly identify that this tool is meant to stand out. One of the essential features of this bow saw is its portability. Specifically, you can collapse it down until it becomes a cylindrical tube that has a compact dimension of 19 inches x 1.4 inches. Because of that, traveling with this bow saw won't cause you any trouble. You can also trust the sturdiness and durability of this bow saw. The frame of the Filzer Buckster Bow Saw BBS-1 is crafted from industrial-grade aluminum. It is both lightweight and rugged at the same time. Even if it is exposed to the elements, its quality will not be affected. Corrosion and rust won't get in your way here. This particular bow saw has an impressive blade system too. The cutting blade has a length of 18 inches of 46 centimeters. 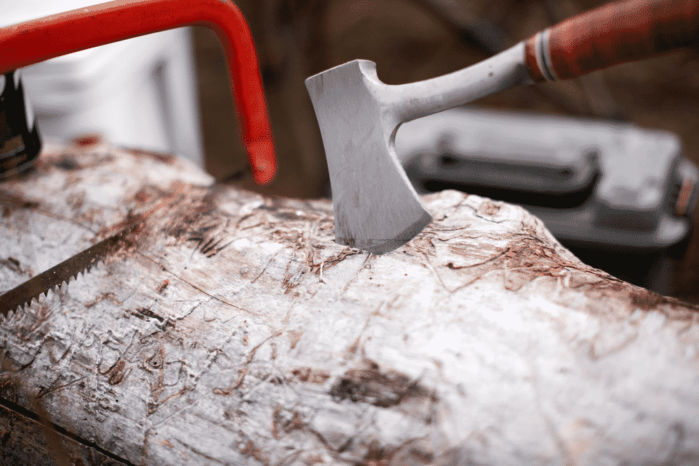 Because of that, the blade is capable of slicing down a log with a 13-inch diameter. That's pretty decent already, especially if you are looking for a buddy to deal with stray logs and branches. Of course, the blade remains replaceable, too. Meanwhile, the tensioning system of this bow saw is made from stainless steel. It can be used easily and quickly so that you can tackle materials with different toughness and texture. It is a blunder to miss the Truper 30255 in this list. After all, this is one of the most sought bow saws in the market today due to its price and efficiency. It is a tough bow saw, being made from high-quality materials. The frame of this tool is crafted from steel, which has been engineered properly to improve its overall durability and toughness. This particular bow saw is ideally made for cutting large branches. The 21-inch blade is capable of cutting tough wood, as long as you implement proper techniques. It also features a cam-lever tension system that guarantees the tightness of the blade, regardless of the application. Once the adjustment is done, the tension will remain the same. The Truper 30255 is a solid piece of equipment for DIYers and simple homeowners. It is simple to use and has a lightweight design that will never trouble its users. Fortunately, you can still use this item in the workshop or the field. After all, it still can make effortless and precise cuts. I can also consider the reputation of the Truper 30255 unblemished. Many people who have tried using this tool have attested its efficiency in cutting branches and shrubs. I have the same sentiment with them, which makes the bow saw worth recommending. One of the best bow saws that exist in the market today is definitely the BOREAL21 from Agawa Canyon. I can testify to this as I have been using this tool for almost five years already. Mine right now is still sturdy and functional. The quality of the frame and handles didn't dissipate even though I am using it frequently. It is still ultra tough and maneuverable, too. The usability of the BOREAL21 is not limited to your house or workshop. You can take it in any of your outdoor adventures. Whether you are backpacking or trail hiking, this tool won't complain. The durable aluminum frame of the saw protects it from breakages and cracks if ever you dropped it accidentally. The frame has high clearance, which provides control and balance to the saw. Meanwhile, clutching the handle of this bow saw won't strain your hands. The handle is sufficiently comfortable as it is durable. Specifically, it is made from glass-filled nylon, which is very convenient to hold, even for extended periods. You can have a full control over the saw due to this ergonomic design. Considering that the BOREAL21 Folding Bow Saw is lightweight, carrying it will not be troublesome for you. It has a collapsible feature, which drastically reduces its footprint. You will be impressed by how fast this saw can open. It has a quick setup and provides impressive tension for any types of cutting applications. The simplicity of the Fiskars 7029 Bow Saw makes it one of the finest options any DIYer can have. This particular unit is designed to cater the needs of DIYers in their daily task of cutting branches and clearing bushes. You can also use it to work with projects in your workshop. The Fiskars 7029 Bow Saw is utilizing a fully hardened precision steel blade. This particular construction ensures that the blade will remain sharp and flawless even if you use it constantly. Even if the task requires high demands or extensive usage, the blade won't wear out easily. Furthermore, the blade of this bow saw has an anti-rust coating. There is a tension lever that was integrated on this bow saw. This provides impressive control over the cutting speed and power of the blade. Moreover, it establishes a certain degree of protection to the user, as it prevents the saw from being prone to slippages. With this tool, you can ensure that you can cut things up regardless of their thickness and texture. Noticeably, the Fiskars 7029 Bow Saw has a lightweight design. The tubular steel frame doesn't add to the weight that you are going to feel when you use this tool. As a result, the strain that your hand should feel would be drastically lessened. For amateur users and DIYers, such capability is downright essential. Bow saws are great utility items. They are there to make sure that every individual who needs the help of a reliable cutting tool will get what they need. Their primary function is to cut wood, shrubs, and branches for any clearing application. You can also use them for DIY projects in your home and workshop. For instance, if you need to remove stray shrubs on your lawn, this is a necessary tool. That's the reason why a bow saw became a valuable gardening tool these days. However, it is pretty given that choosing a bow saw is difficult. There are different units that you can see today. It is pretty confusing to discern which one of them can really serve your needs and purpose. Sometimes, you are torn between choosing an inexpensive and costly one. Regardless of your intended application, here is a guide that can help you decide on the specifications that your bow saw should have. Check them out before you head to the nearest hardware or your trusted online retailer. Doing this can save you a lot of time and money. Bow saws, in general, have a minimum length of 17 inches. Any lower than this and the saw will have a restricted application and purpose. We categorize saws that have a specification like that as small. Small bow saws have a triangular shape. They are the perfect option if you want to work with tight spots, which are pretty common when you are pruning and gardening. On the other hand, big bow saws can go as long as 30 inches. But you can always consider a bow saw that is 21 inches to 27 inches long already. This kind of bow saws are the workhorse that you should choose if you want to cut trees and logs. They are not compact but they have the power that can take on the task that is meant for log saws or chainsaws. With this criteria, you can already deduce that there is no such thing as "correct bow saw size." All of the bow sizes have intended application to perform. Therefore, it is necessary that you know what tasks or projects you are going to do before you buy a bow saw. Saws will always be saws. There's no changing this fact. It will still have the capacity to hurt people unless your skin is made from metal. Even if you are professional, getting cut through accidents is always in the realm of possibility. If you do not exercise caution, things would get dangerous for you. But aside from the exercise of proper caution, it is also necessary that the bow saw has safety features on its own. A bow saw can only be considered safe to use when it has an impeccable grip. The better grip that you can have with the tool, the lesser you are prone to accidents. Your hands won't slip out easily as long as the saw handle is not slippery. However, some units have other extra safety features to boast. One of this is the knuckle guard. The latter ensures that your hand is always protected from any potential injuries. Although this feature is optional, it may still come necessarily if you are going to use the bow saw frequently. Furthermore, it is incredibly usable during wet and rainy conditions. For outdoor goers, this is a necessary perk. Bow saws should not be static and versatile. If your bow saw is like that, start considering to get a new one. You see, the best bow saws should have a tension adjustment feature. Depending on the application, you might need the blade to be slightly flexible or extremely rigid. The basic design of a tension mechanism of a bow saw includes a thumb screw and a lock handle. They are the ones that allow you to adjust the tension or the stiffness of the blade. This can improve the efficiency of your performance for every task that you are doing. A bow saw that doesn't have this feature will not work the way you want it to be. There are some other things that you want to consider in choosing a bow saw. These are some extra tips that I have solicited from professionals on the field. You may find one or two of these golden nuggets useful for you. Are you cutting a dead or green wood? If the wood that you want to cut is green, make sure that the bow saw is intended for that. You can know this if the blade of the bow saw has a set of splayed teeth. Such kind of design allows you to rip through the flesh of this wood. The blade pattern may be regular. However, you can still observe some irregular angled teeth. Some of them have a perpendicular shape while others are angled forward. If the wood that you are cutting is dead, the bow saw that you should choose must have a "regular" blade. This practically means that the teeth of the blade should have a regular and uniform spaced. The angle of the teeth should have a 90-degree inclination to the blade, which is contrary to common saws used in carpentry. Usually, the blades of those saws have teeth that are leaning backward or forward. What is the thickness of the material that you are cutting? If the object is thick (more than the size of your wrist), you should pick a bow saw to do the job. If it is thin, then you must use a folding saw. Don't worry. Bow saws and folding saws are practically the same. The only difference that they have is the application you are doing. You have to know that the thickness of an object will indicate the type of saw that you are going to use. Folding saw are fundamentally shorter and smaller than standard bow saws. Therefore, they are ideal for small objects and thin materials. Regular bow saws, on the other hand, are meant for bigger tasks. As I said earlier, the smallest bow saw has an overall length of 17 inches while the longest ones can reach up to 30 inches. In fact, some have longer size than this. It is noticeable that short bow saws have a triangular shape. Such configuration is essential for users who are always dealing with tight spots. For instance, you can use it to cut hazel rods on a hazel stand. After all, these guys are good at aggregating together. Bow saws look like a bow, and that's the obvious reason why they are called bow saws. They are using metallic frames so that they can be as sturdy as ever. Furthermore, they have a tension mechanism, which provides flexibility when it comes to the adjusting to the tightness of the blade. If you are looking for a folding saw, a locking mechanism, and an ergonomic handle are very necessary. They enable you to work comfortably and safely all the time. Also, it is also essential for folding saws to have a tension system. If the blade can't be loosened a bit, it will suffer bending issues. Once this happens, it would be difficult for you to collapse the blade back to the handle. That's it for now. If you are looking for the best bow saw, you better check the guidelines and tips that I have mentioned here. There are the ones that can help you decide which of the bow saws presented to you can meet your requirements. Of course, the guide can aid you in separating the good ones from the bad ones. Among all the bow saws that I have featured here, the Bahco 10-21-51 21-Inch Ergo Bow Saw is the one that provides outstanding performance. It is versatile and can handle different applications. Furthermore, it has a noticeable high-quality construction. It has a sturdy yet lightweight frame while the tensioning system remains ergonomic. Did you learn from this article? If you have questions or suggestions, feel free to drop them in the comment section below.